Despite living by the Thames myself it still comes as a pleasant surprise that the inland reaches of this mighty waterway stretch so deeply into middle England. 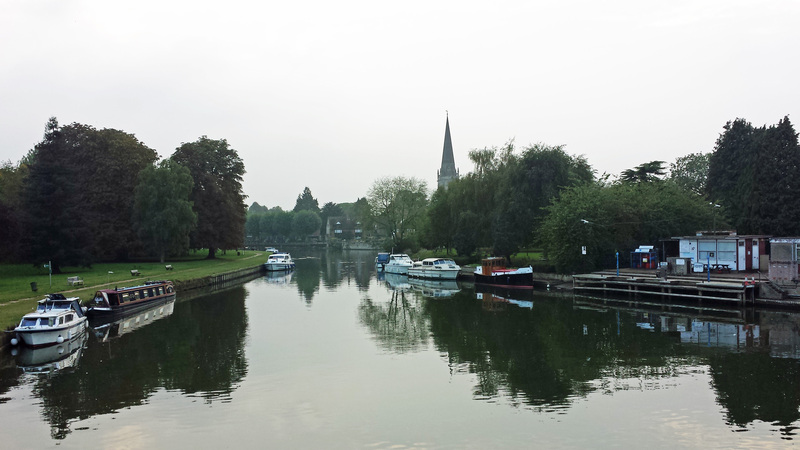 This weekend’s festival of sport is centred in and around the extremely pleasant Oxfordshire market town of Abingdon which sits sleepily on the Thames. Not so much the Thames Footpath this weekend more the Thames Football path if you will. 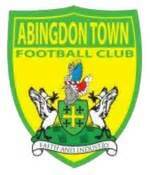 The Friday night sees a bonus game pitched as a fundraiser for flood stricken Abingdon Town whose Isthmian League heyday now seem another lifetime ago. 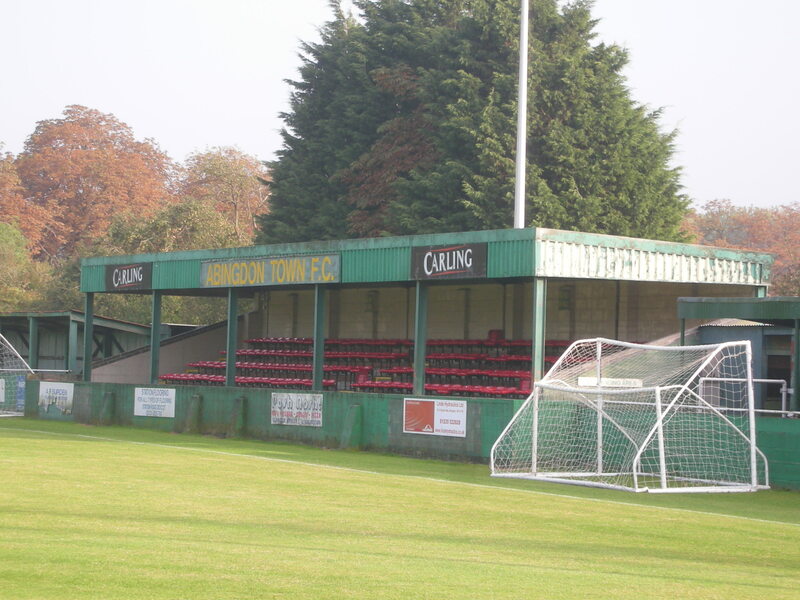 Culham Road is a ground very much out of keeping with this “village green” league having cover on three sides and really is worthy of a far higher grade of football. Tonight’s game is against very local rivals Saxton Rovers and the game has an edge to it from the start. The hosts take the lead with a scrappy goal from Barroso when Saxton failed to clear their lines and it separated the combatants at the break. The second half was notable for an incident when a visiting official was ordered from the dugout for allegedly abusing the linesman. Saxton didn’t allow the incident to rattle them and were very much in the game until the closing moments. 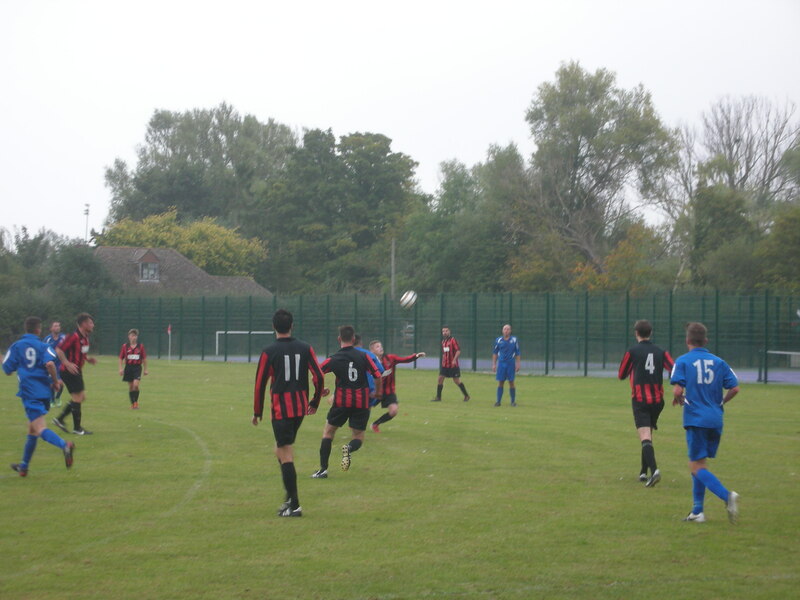 Rob Lightfoot put the game beyond doubt with a swift break away goal finished with no little aplomb. Another late goal came when the unfortunate Sutton in trying to clear a corner only succeeded in slamming the ball into his own keeper’s face and into the net. The own goal gave the final score a slightly lop-sided feel to the overall match. A decent prelude to proceedings though. 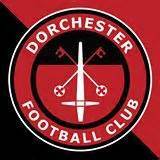 It’s an early start at this venue sat right next to the river and another most local of local derbies. 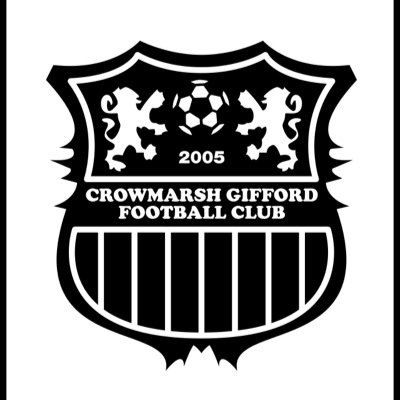 Wallingford are something of another fallen giant having, in former guises, played in both the Combined Counties and Hellenic Leagues. 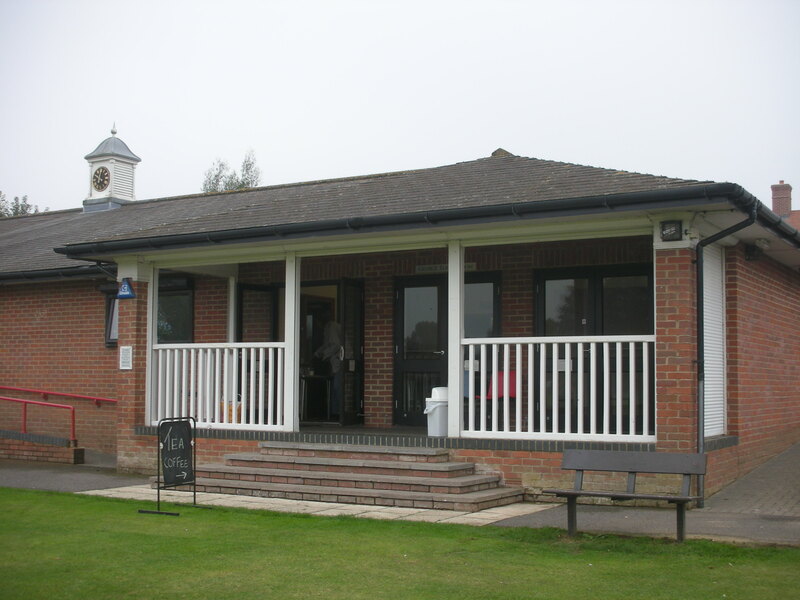 Hosts Crowmarsh Gifford put on a great effort in hosting the biggest crowd in their short nine year history. Everything runs like clockwork and we witness a very tight game between two very evenly matched sides. 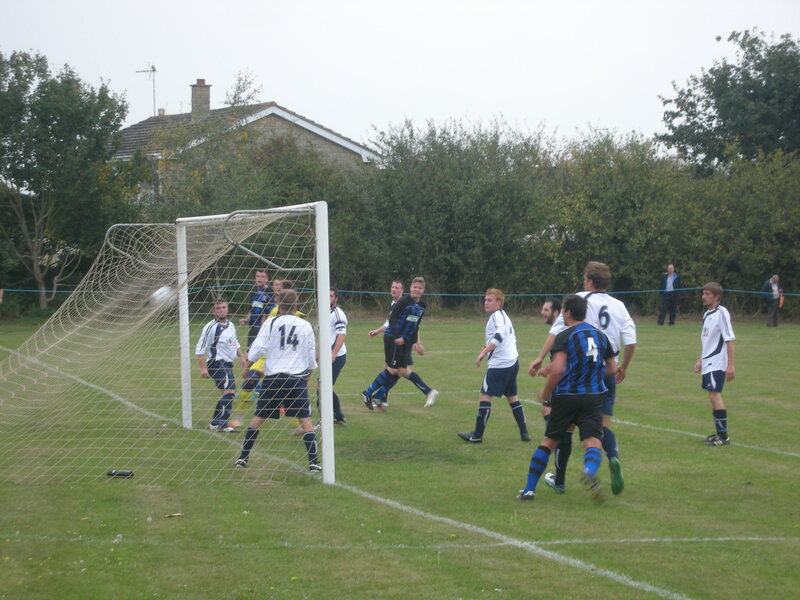 A moment of brilliance won the game when the visitor’s Ashley Searle netted the only goal with a magnificent overhead kick. Another well organised event and it’s the hosts that open this fixture with an incredible burst, including the quite rare event of two goals being scored within the same minute as Josh Nicholls opened the scoring on six minutes and Jamie Fleet scored again almost immediately after the restart. Impressive youngster Cameron Patterson netted a third just five minutes later and the contest was effectively over from that point. The visitors looked more solid in the second half but blotted their copy book when full back Luke Fairclough was red carded for a very high challenge on Jack Rowe. If the was an award for best food of the weekend, then Marcham’s superb chilli con carne would get my vote. Suitably fortified we watch an incredible game on a very undulating pitch at Anson Field. 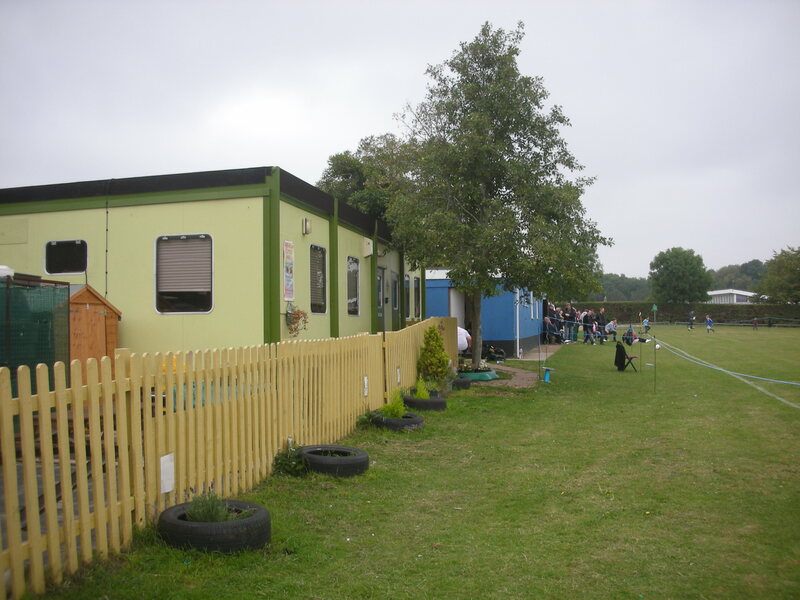 So uneven is the pitch its no surprise the club are looking to relocate to elsewhere in the village. Sadly for the friendly hosts their team put on a horror show in the first half and the jubilant visitors help themselves to five goals in the opening half. 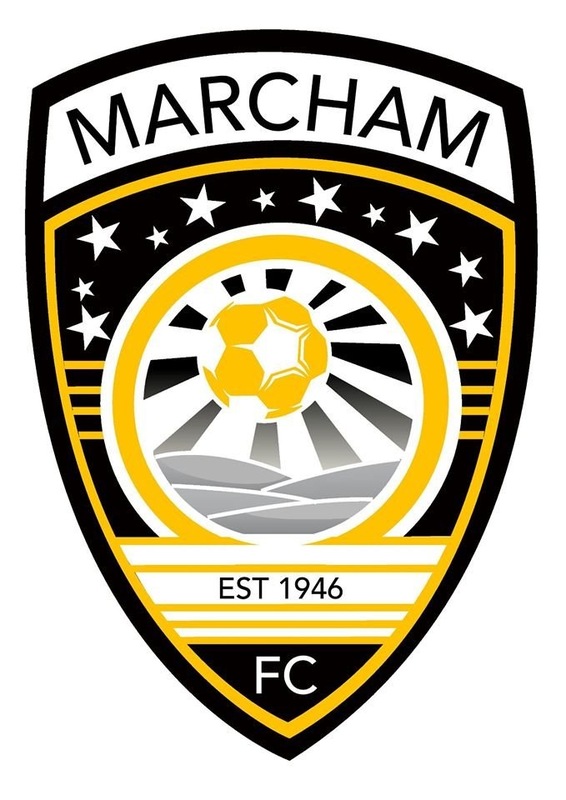 Marcham apply themselves a little better in the second half but some profligate finishing from East Hendred prevents what could easily have been a double figure scoreline. 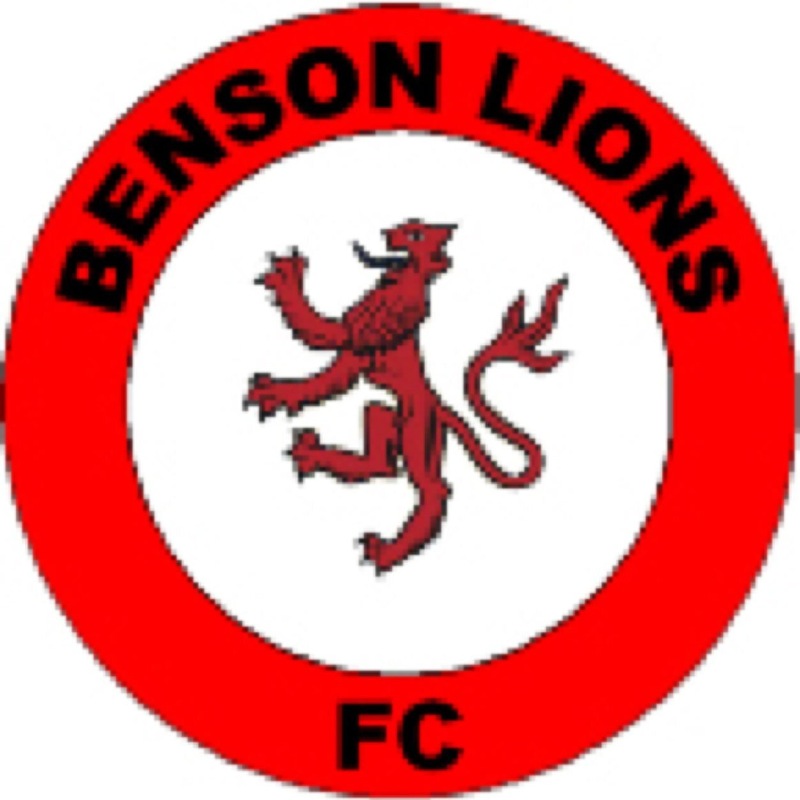 Having hosted a great hop match at their own ground last season we knew what to expect from Benson Lions. They did a roaring trade on tasty burritos and beer and a healthy crowd passed the scrutiny of the high security gatehouse to enjoy this rather unusual venue. 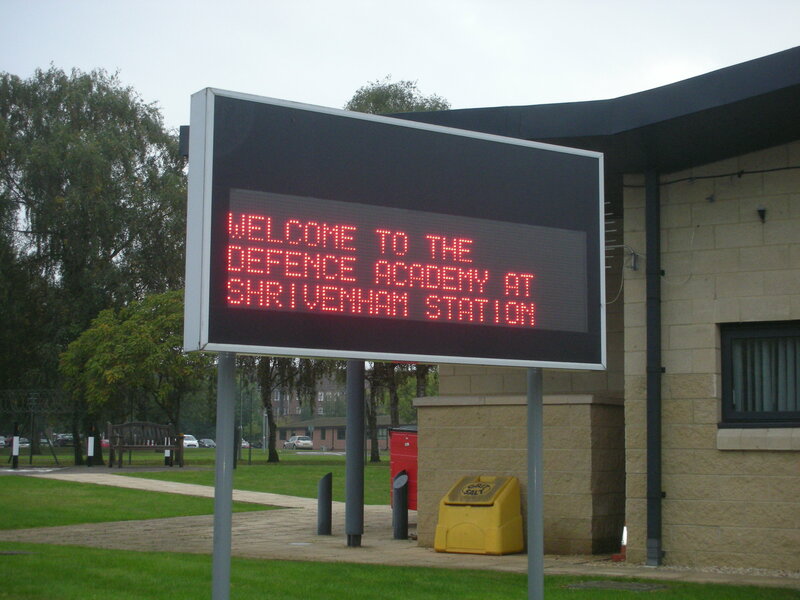 Floodlit and with a raised grass bank, it’s was a rare chance to see a game on an MOD base. A decent game was played out with Marco Papa opening the scoring for the Lions just after the break, finding the net at a second attempt having squandered the initial opening. 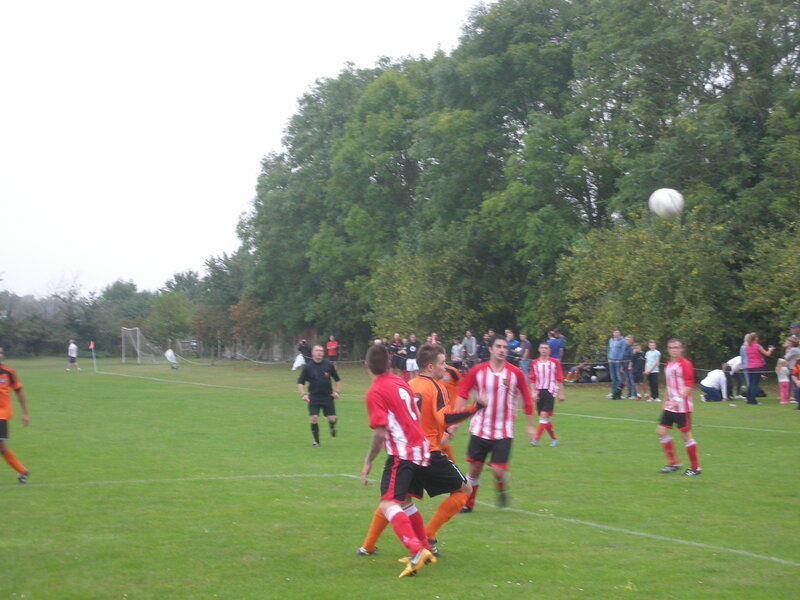 The plucky visitors equalised through Marc Reid and a draw in the end was fair result. 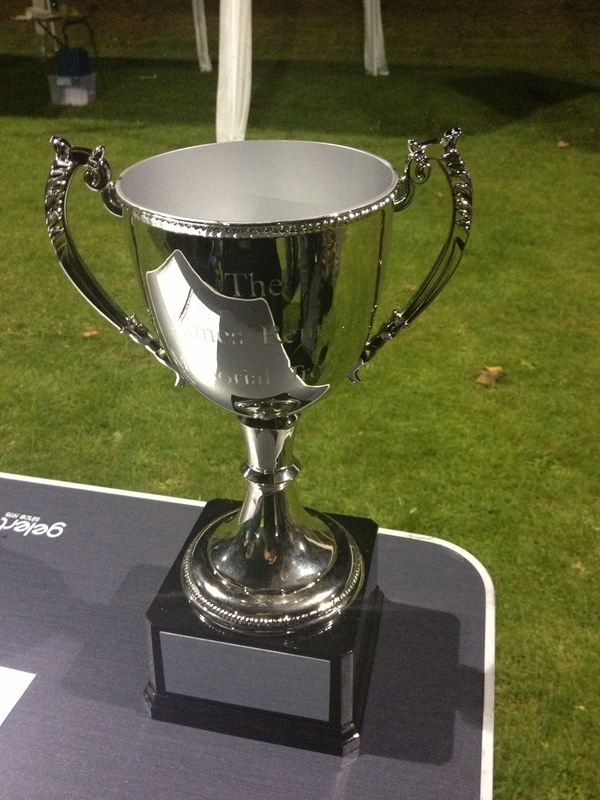 This game was a most suitable contest for the James Rennie Memorial Trophy, a great supporter of North Berkshire football. Nyköpings BIS were formed in 1966 when two struggling clubs, Nyköpings SK and Nyköpings AIK pooled their resources. Since then the club have predominantly played in the third and fourth tiers of Swedish football, although the Bissarna enjoyed ten seasons, in two spells, playing in the second tier between 1971 and 1984. They are not related to IFK Nyköping who play at the truly wonderful Folkungavallen (http://wp.me/p2DKc8-8I) across town. The club are in something of an vertiginous upward trajectory of late as they won Division 2 Södra Svealand in 2012, winning by a ten point margin from runners up Carlsbad United. The club were agonisingly close to making it two successive promotions when they finished a point adrift of the promotion play-off place in Division 1 Norra. The title was won by IK Sirius with the fast rising, predominantly Kurdish, Dalkurd FF taking the play-off spot. 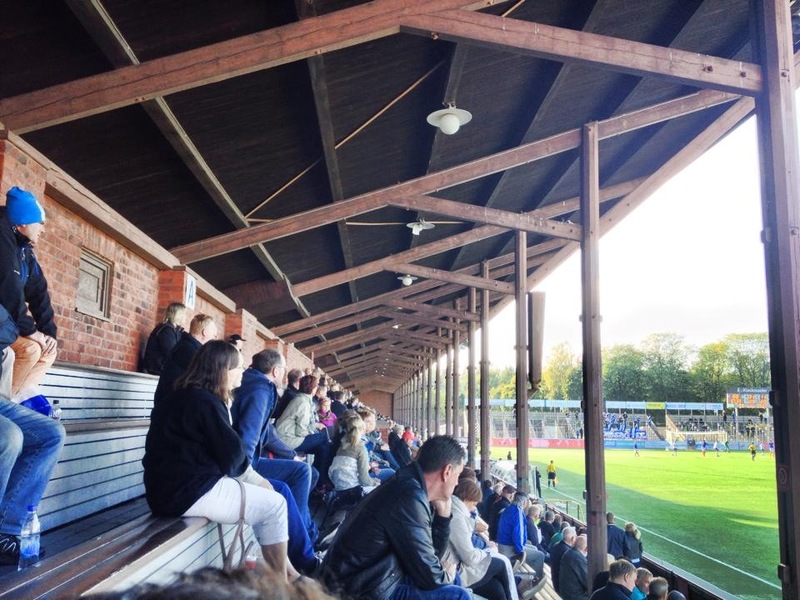 The club play at a modest athletics stadium called the Rosvalla Idrottsplats which opened in 2003. 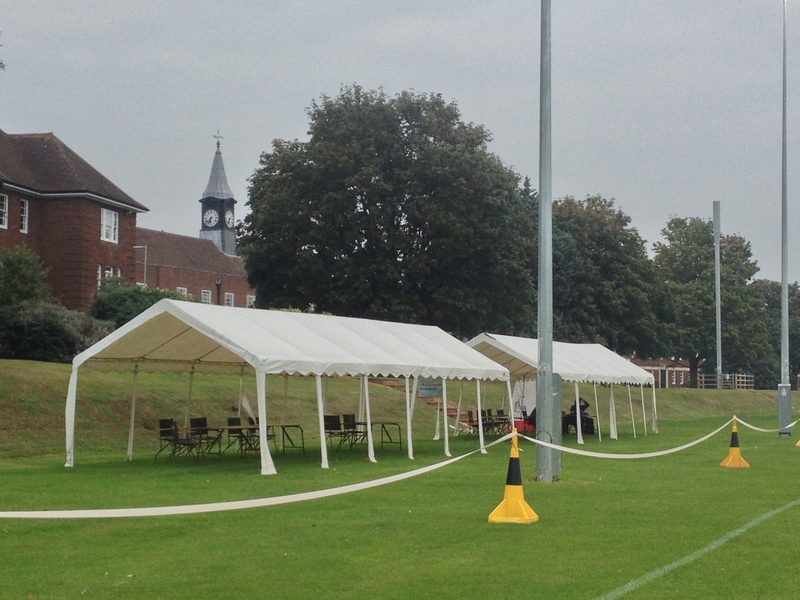 It has one large stand on the east side and grass banking all the way around the remainder of the ground. 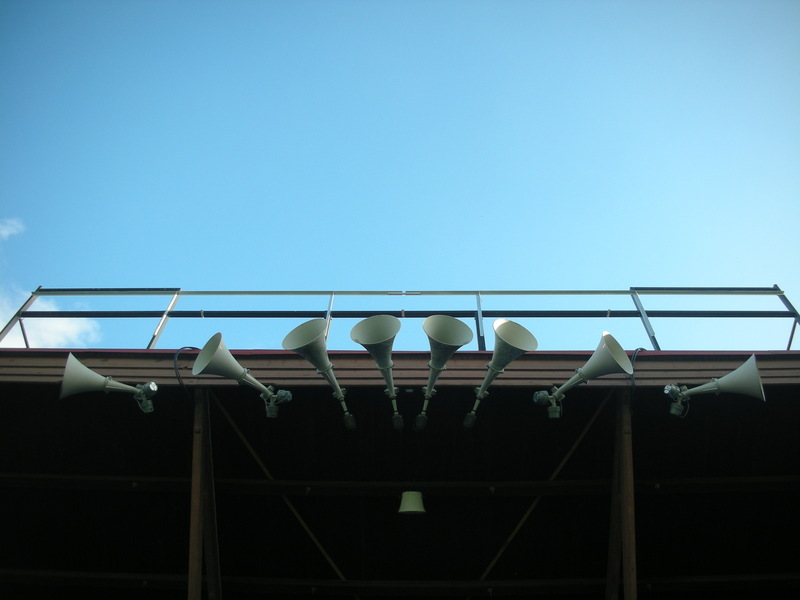 Despite having a small band of ultras the club is not well supported and the official capacity of 1,000 is rarely tested. 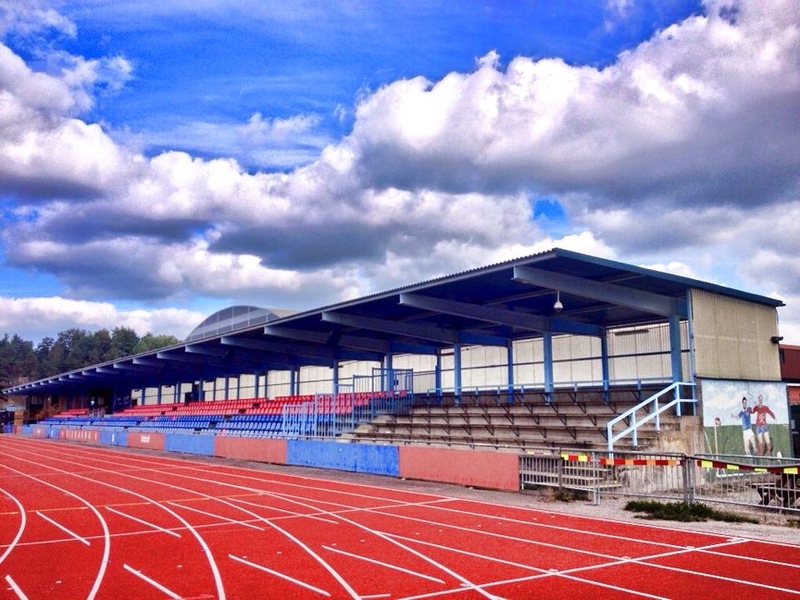 The stadium is part of a much larger sports centre which caters for skating, tennis and bowling and also has a multi-purpose hall which holds 5,500 people and currently plays host to Nyköping’s ice hockey team. 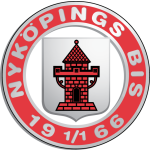 Nyköpings BIS are the most southerly club currently completing in the northern section of Division One. 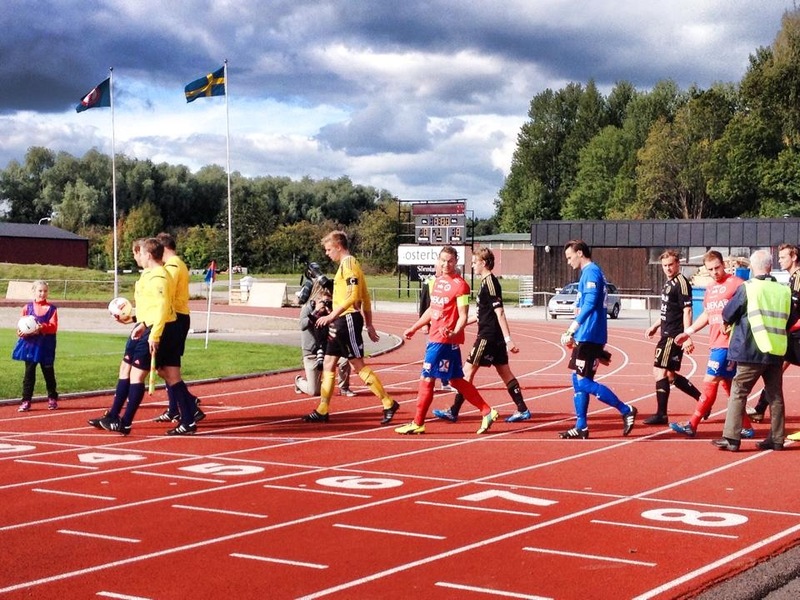 They have some hellishly long journeys to the likes of IFK Luleå and FC Umeå in the far north. Even today’s visitors, Skellefteå FF, have a 540 mile journey south to play this fixture. This season has not been so kind to the hosts and after sixteen rounds they lie tenth in the table (of 14 clubs) while the visitors are a place below having an inferior goal difference. BIS take an early lead when a speculative shot from Gillström clips the inside of the post and finds the net. The killer blow came when the lively Eid scored an excellent second just as the half entered stoppage time. The hosts double the score in the second half and in truth should have had several more. This visiting keeper will have had better days and his side barely mustered a shot on goal during the whole game. Survival for them will be tough in the third tier. 23. Anton Fagerström, 13. Lennart Johansson, 14. Simon Esséus, 3. Per Pettersson, 6. Ishmael Koroma, 25. Adis Djoković, 16. Yousef Yousef, 8. Suad Gruda, 22. Ethan Gage (c), 9. Andreas Gillström, 11. Mahmoud Eid. Subs: 4. Emil Larnesjö (for 3,74mins), 19. 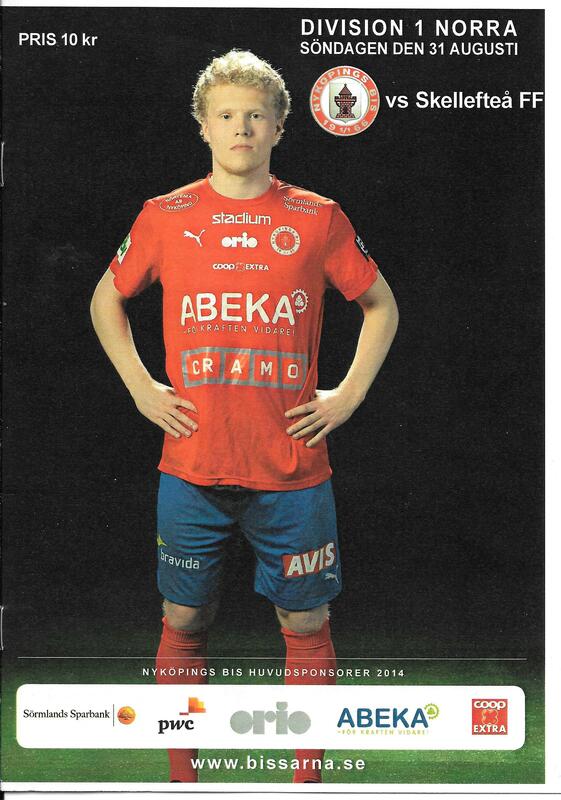 Ludvig Hellman (for 22,71 mins), 20. Alen Ahmetović (for 11,79 mins), 26. Andreas Guillén, 24. Alexander Lind, 1. Pontus Lindh, 7. Sagvan Abdulsakar. 1. Frederik Enberg (c), 2. Daniel Söderström, 24. Linus Marklund, 5. Joakim Vikberg, 17. Alexander Brinkmann, 10. Jonas Desai, 7. Krister Andersson, 15. Robin Nilsson, 19. Patrik Broman, 45. Petter Thelin, 25. Chika Francis Ezeh. Subs: 6. Kevin Forss-Nordlund (for 15,74 mins), 9. Andreas Bergström (for 7,61 mins), 18. Yosif Ayuba (for 10,65 mins), 22. Alexander Sorgić, 31. Johan Sjöberg. The Rosvalla features a giants’ lost front door key. No reason. 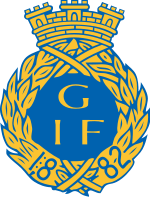 Gefle Idrottsförening, or GIF, were formed in December 1882 as Gefle SK although the current name was adopted only months later. Gefle itself is the ancient spelling of Gävle a port town around 110 miles north of Stockholm. The port and town thrived on exports of copper and iron and remains a busy hub for sea transportation. 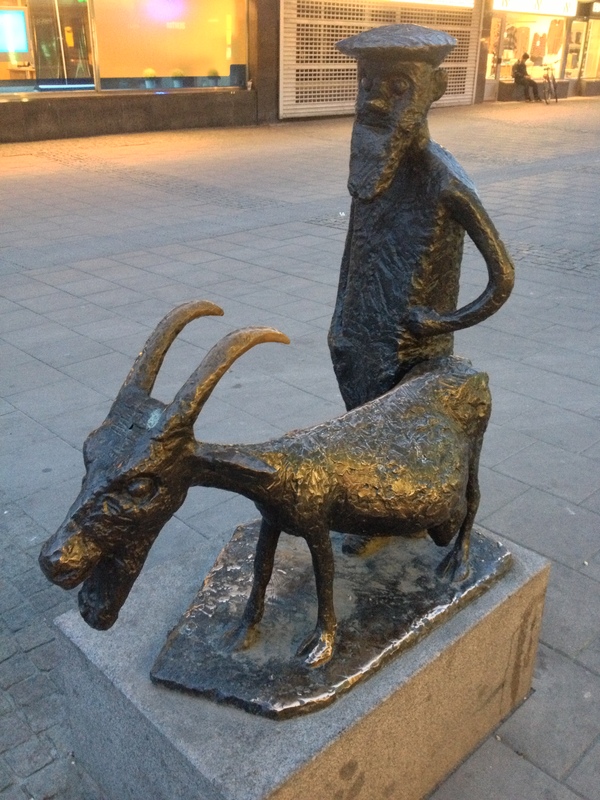 The town is renowned internationally for the Gävle goat, a huge straw goat that is erected and burnt every yuletide. 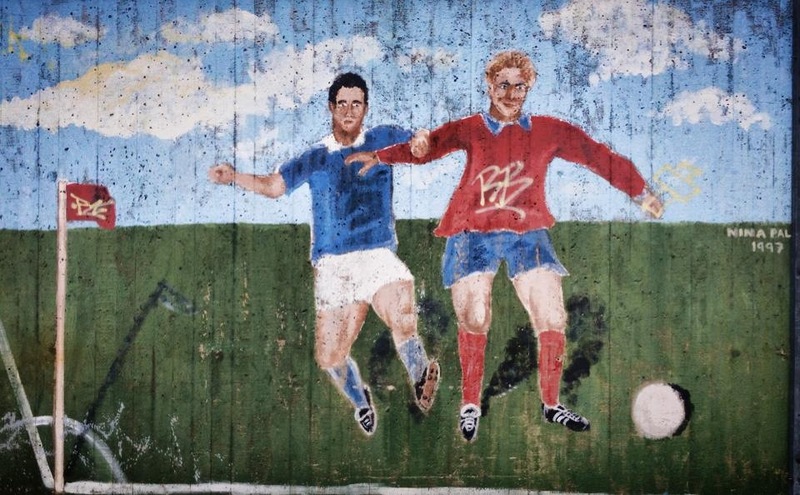 As with many clubs in Sweden the GIF club was originally a multi sports club that then created a football offshoot. In the case of Gefle, football was introduced to the town by an English accountant called Robert Carrick. Carrick would manage the club until 1907. During his tenure the club gained early success in the short lived Rosenska Pokalen winning the first three tournaments defeating AIK twice and also Djurgårdens IF in the finals. At the time the club refused to participate in the Svenska Mästerskapet which was a cup tournament held to decide the best team in all of Sweden with the final alternating between Gothenburg and Stockholm. This meant probably the best side in the east of the country at the time never tested itself against Gothenburg’s Örgryte IS who were the dominant side in the early years of this competition. 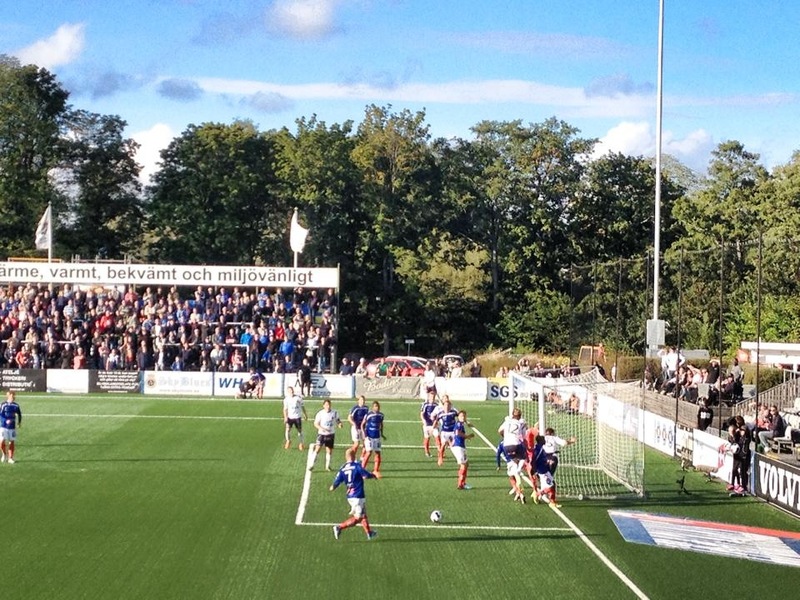 Since those early successes Gefle have mainly been a second and third tier club with two short spells in the Allsvenskan in the 1930’s and 1980’s. The 1950’s were a dark period for the club and having sunk to the fourth tier the board actively discussed folding the club altogether. In 1979 the club briefly merged with Brynäs IF although this lasted only three seasons. Gefle enjoyed a renaissance under Kenneth Rosén gaining promotion to the top flight in 2004 as runners up in the Superettan to BK Häcken. The club have done exceptionally well to remain in the Allsvenskan ever since and finished 12th last season. On three occasions during their top tier tenure Gefle had qualified for the UEFA Cup/Europa League. They lost to Llanelli in the first qualifying round of the 2006/07 tournament, and to Georgians Dinamo Tblisi in the second qualifying round in the 2010/11 competition. Two years later they defeated Estonians Narva Trans and Anorthosis of Cyprus before succumbing to Azerbaijanis Qarabağ FK in the third qualifying round. 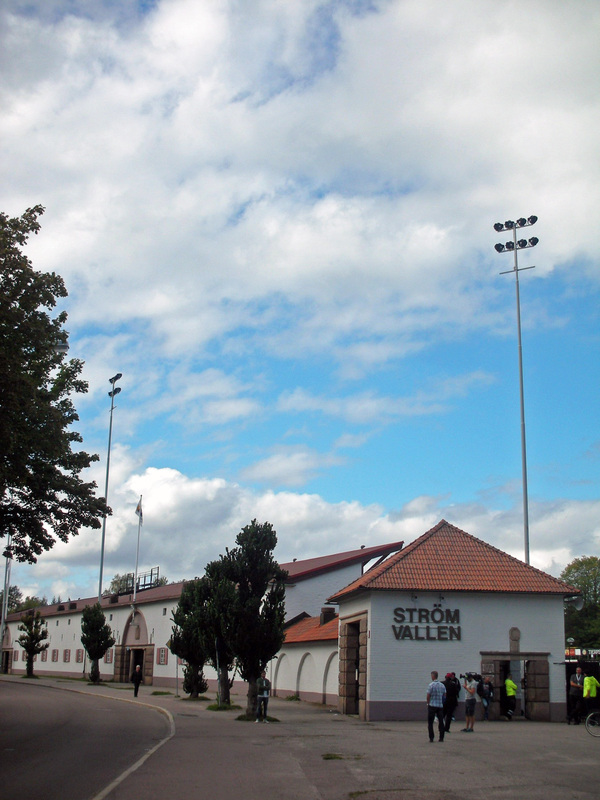 The club have played at the site now occupied by Strömvallen since 1903, prior to this the town had no set sports ground and games had to be staged in the courtyard of Läroverket school. 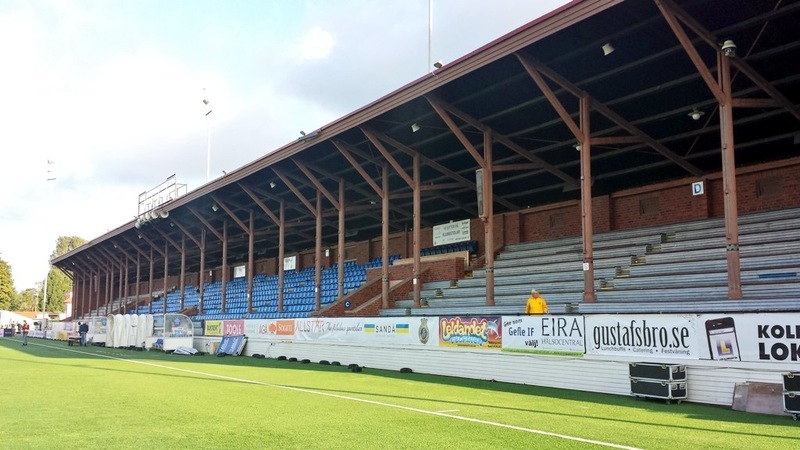 Strömvallen with its wonderfully ornate wooden grandstand, opened in 1923 and was designed by Erik Vestergren. 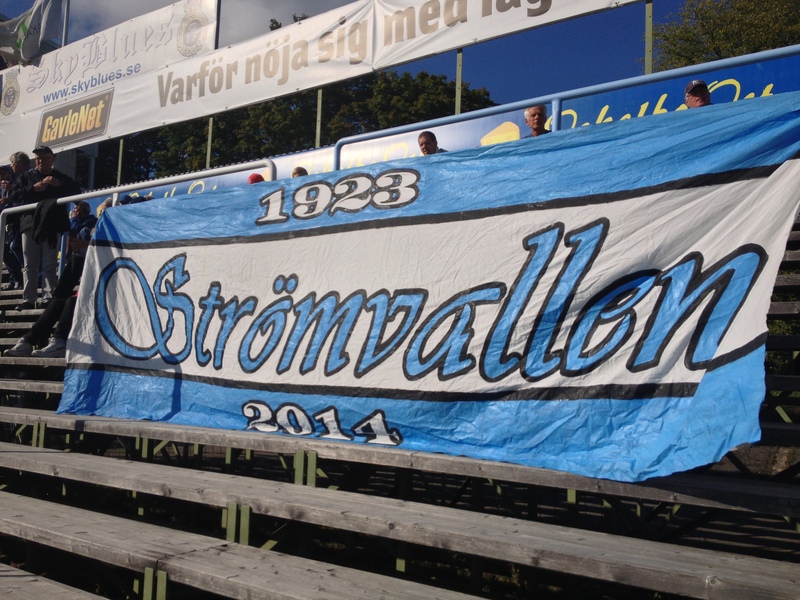 Extensively modelled on Torben Grut’s iconic Stockholm Olympic stadium the Strömvallen is classical 1920’s design. 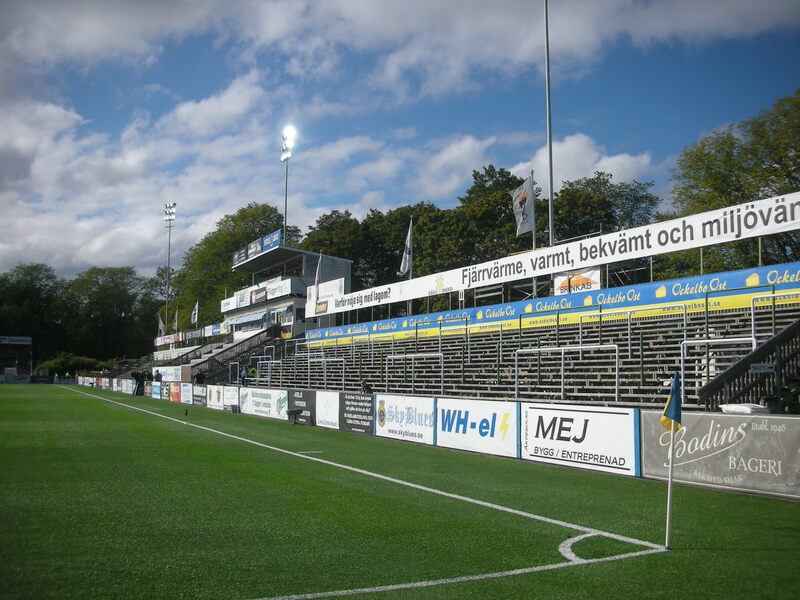 However, other than the ground of newly promoted Falkenberg, the Strömvallen has the smallest capacity in the top flight at a little over 6,700. 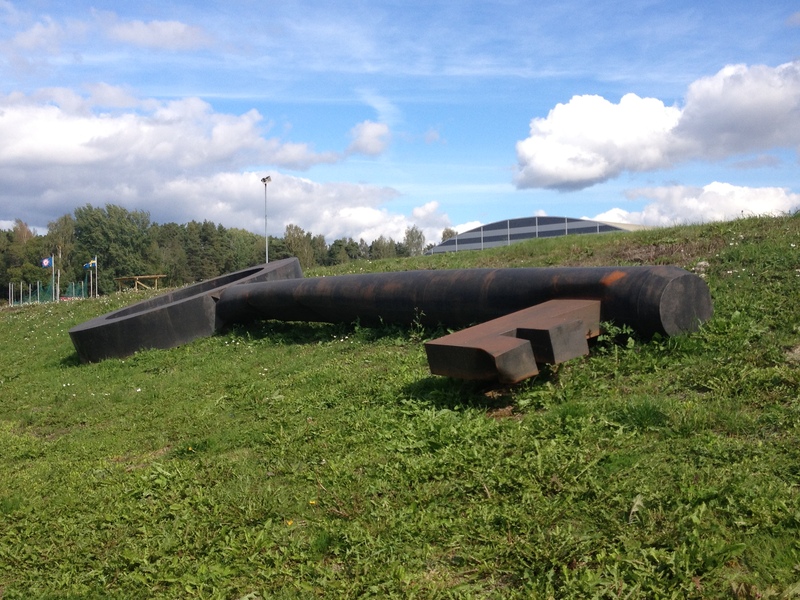 In May 2013 it was announced that the club and the municipality had agreed to build a new, modern stadium in the Sätraåsen area of Gävle, so this is the last campaign at the old stadium. For the 2015 season the club will play at their new stadium, currently known as the Gävlehov Arena. 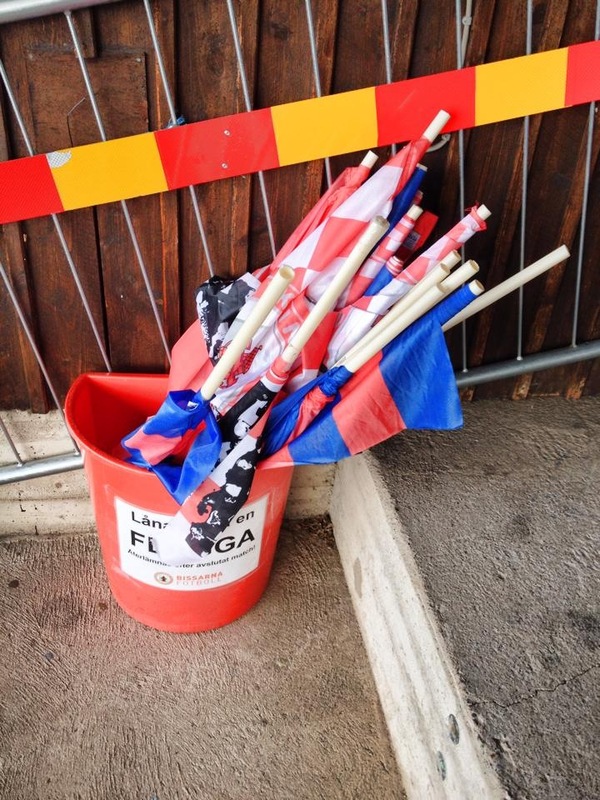 Sadly for the old Strömvallen it does not meet the stringent ground grading rules set by the Swedish FA in 2013 and its days were really numbered from that point. 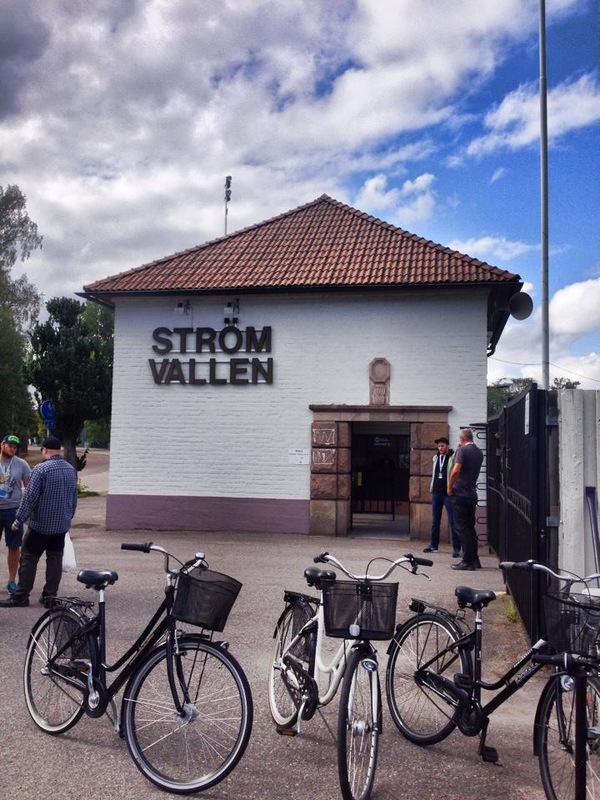 The area had been a running track since October 1900 and was then known as Strömdalen and was built on the site of the derelict Rettigska orphanage. 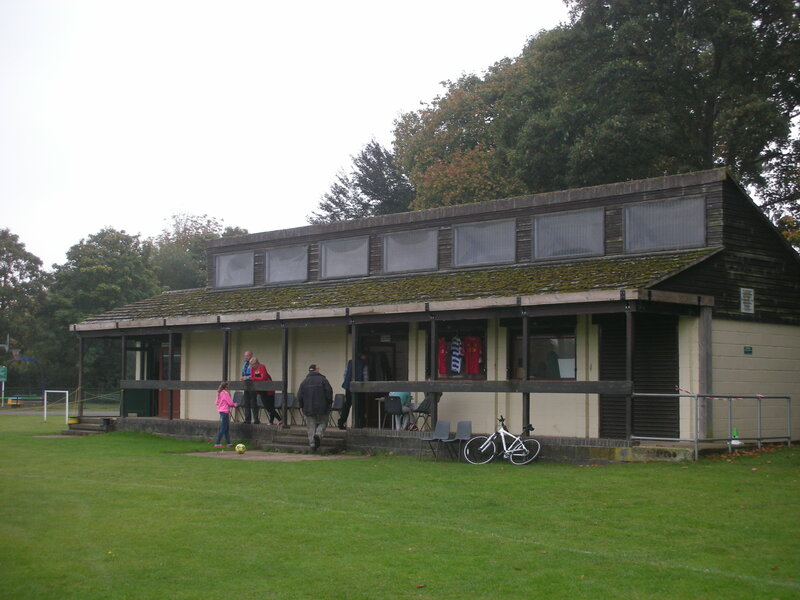 The football pitch was laid in 1903 and shared with athletics until 1984 when it became a football only facility. It was athletics that bought world wide attention to the Strömvallen in the 1940’s when it was the home track of legendary middle and long distance runner, Gunder Hägg, who was virtually unbeatable for a decade. Hägg is honoured with a bronze statue “The Runner” outside the stadium. Hägg also an athletics stadium named after him in another part of town. 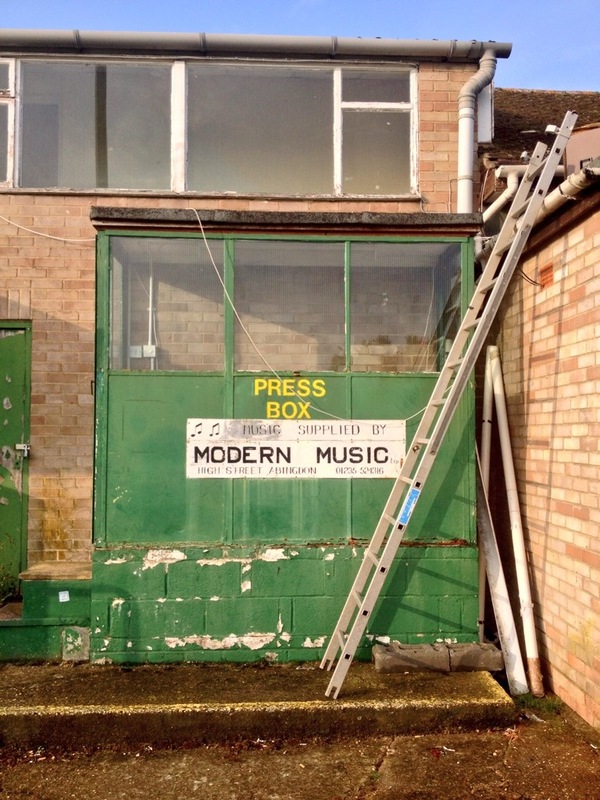 The stadium was extensively remodelled in 1966 and floodlights were also erected at that time. The stadium still has extensive standing room and only gained seating outside of the grandstand after the turn of the 21st century. 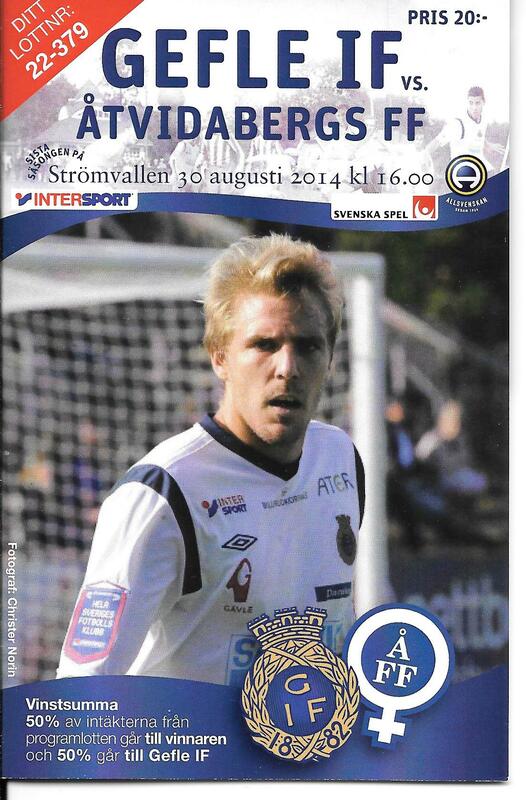 This evening’s game sees Åtvidabergs FF visit the Strömvallen for the last time. While both sides are in the lower reaches of the table both should survive unless either Mjällby of Brommapojkarna pull of a miracle escape act from the bottom two places. The game is played in surprisingly hot conditions and is not the greatest of spectacles. A late goal from Åtvidabergs’ substitute Victor Sköld seals the points for the visitors. He had been on the pitch barely three minutes when he slotted home a ball optimistically drilled across the penalty area. 1. Emil Hedvall, 4. Anders Wikström, 14. Jens Portin, 6. Jesper Florén, 16. David Fällman, 17. Jonas Lantto, 19. Marcus Hansson, 7. Robin Nilsson, 12. Anders Bååth-Sjöblom, 8. Simon Lundevall, 9. Johan Oremo. Subs: 3. Jonas Olsson, 10. Dioh Williams (for 17,81 mins), 13. Johan Bertilsson (for 19,86 mins), 15. Skuli Jon Fridgeirsson (for 4,43 mins), 20. Emil Bellander, 24. Erik Olsson, 30. Oskar Larsson. 1. Henrik Gustavsson, 2. Alan Arenfeldt Olesen, 3. Månz Karlsson, 24. Tom Petterson, 5. Daniel Hallingström, 6. Mohammed Abubakari, 16. Pontus Nordenberg, 32. Martin Christensen, 7. Kristian Bergström, 11. Ricardo Santos, 19. John Owoeri. Subs: 9. Victor Sköld (for 19,80 mins), 10. Daniel Sjölund (for 2,76 mins), 13. Alberis Silva (for 32,86 mins), 14. Simon Skrabb, 18. Joel Rajalakso, 20. Gustav Jansson, 23. Emmanuel Ageymang-Boakye.